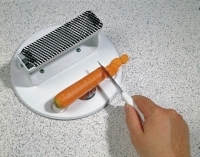 If you have a weak grip or suffer from arthritis, you will know how difficult and painful vegetable preparation can be. 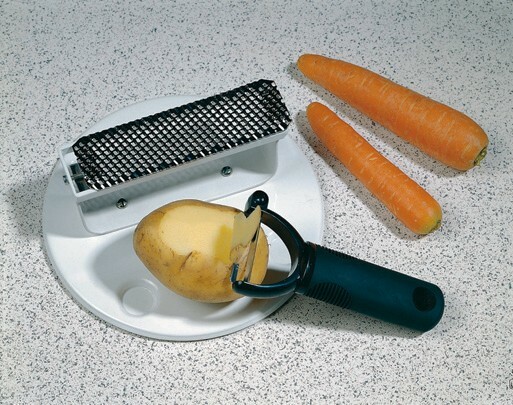 The the Vegetable workstation - a one handed vegetable peeler makes preparing the potatoes, or peel the carrots easy! 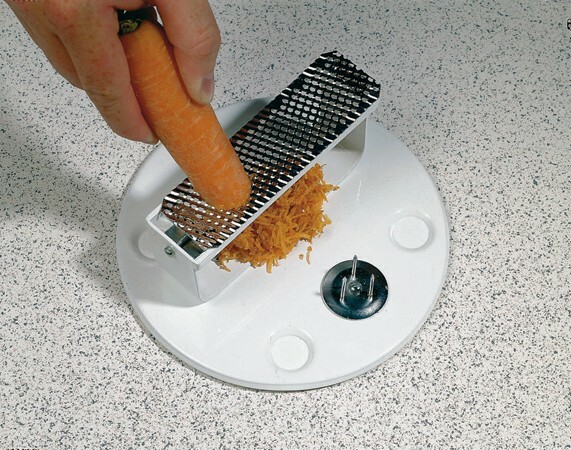 Designed specifically for one handed food preparation, the vegetable workstation has non-slip feet that secure it to the worktop, and a whole plethora of in-built aids that make vegetable (and fruit) preparation simple and safe.